There are all sorts of flags out there: flags from different countries, flags or pennants that represent different organizations and purely decorative flags. 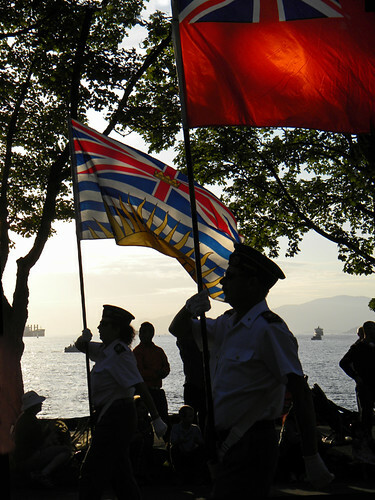 The provincial flag of BC flies together with the ‘red ensign’, the original flag of Canada before it changed to the current maple leaf flag in 1965. This older flag was part of the PNE (Pacific National Exhibition) Parade as it celebrated it’s 100th birthday. 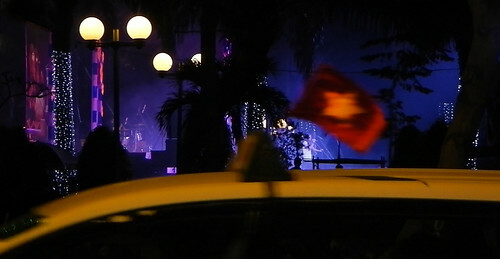 HCMC Nights: Taxi with the Red Vietnamese Flag. 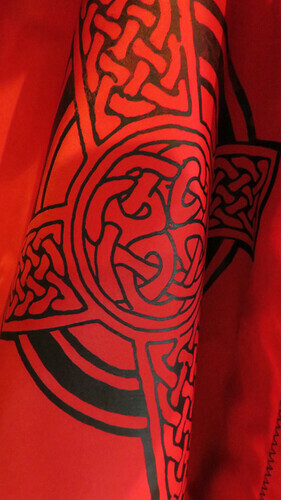 A Celtic flag at the Dunluce Castle Museum in Northern Ireland, UK. 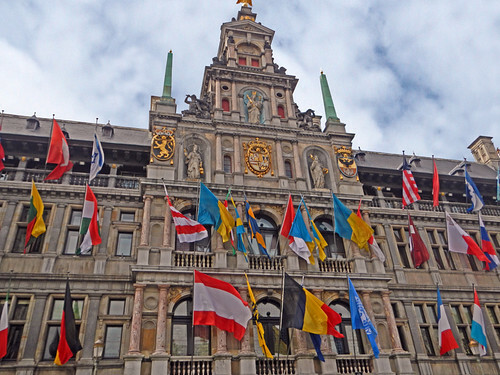 A multitude of world flags show up in front of many buildings in Belgium; these ones are to do with the world’s economy. 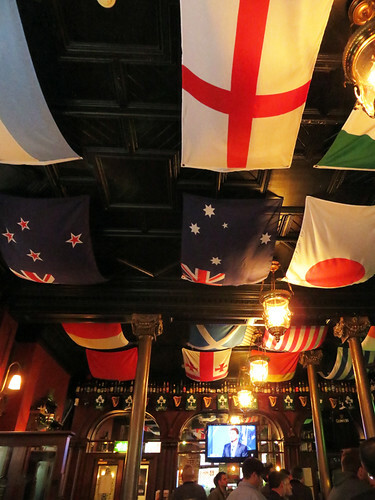 Flags of the world decorate the ceiling of The Garrick, a pub in Belfast, Ireland, UK. 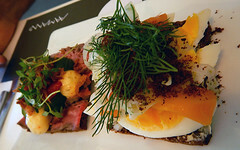 These ones have more to do with football! 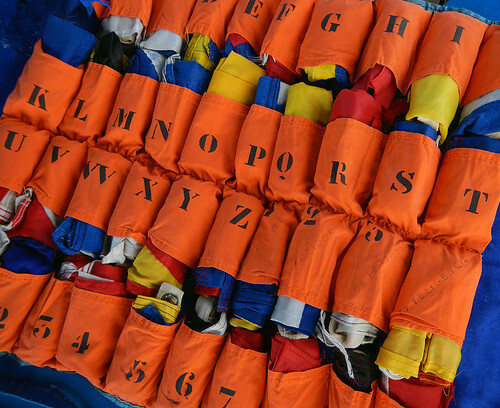 Ship’s signal flags in an orange case. Flags on a tall ship. The Spanish flag flying high above Segovia Castle. 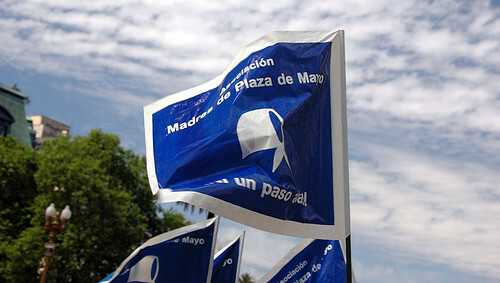 Flags representing the Madres of the Plaza de Mayo, mothers of the disappeared, in Buenos Aires, Argentina.